or do we like it cropped tighter? How do you do it. Every. Single. Time!? Wonderful! Anna - I absolutely LOVE the "sir W" post. What incredible photos! I especially love the bright green chair contrast! tighter!!! the eye contact and smiles are perfect!!! 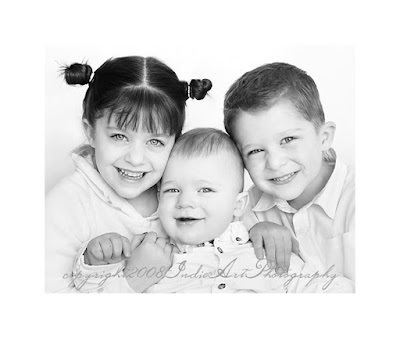 Crop - without a doubt - brings the focus onto those adorable faces!! I would have to go with the tighter one myself. Though either way they are perfect!! I love all of your work. I have enjoyed the actions that Scott bought me for V-day, thanks!! Tighter for sure! Nice in black and white! I really enjoyed going through your images...beautiful work. your headboard image is TDF! SO SO SO cute. I bet they love these, I would! Your bnw are rocking these days...I think you have perfected it. I tried to use my camera today to take pics of my Wakley's girls and could not for the life of me remember how to use it. It was very DEPRESSING to say the least. I need a refresher...BAD! P.S. I like the uncropped one best. I do loved the cropped one the best and I am so jealous. Will you take Miss Belle's picks before you leave??? I just want some of your pics in my house. sure thing girlie - i need to call you today anyway about modeling for me! Great pic! I love the second one. What cuties! I think I like the crop better? I always love a tighter crop so I'd go with #2...gorgeous, as always! I like tighter, too. Great pics! It's so hard to get 3 kids that age to all look perfect, but you got it! I love the tighter crop, how cute are they? Wow, beautiful, beautiful work...and they are little darlings! Love the tight crop. I love the tighter crop. Not that my opinion matters or I know anything about photography. :) You are so talented! Cropped tighter for sure! 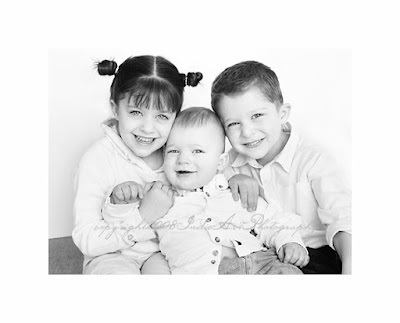 Love this sibling shot ... it's perfect! I like the tighter crop. It emphasizes the closeness. Beautiful shot and I LOVE the conversion. Hard to say...they are both cute...just different. The expressions are more keen in the latter but the first is more artistic. Thank you so much for taking those pictures, they are fabulous. We sure are going to miss you and your little ones, especially Mr. Spiderman! Great pictures! By the way, I LOVE, LOVE, LOVE your header pic!